The renter MUST be able to produce an appropriate certification card. This scuba equipment is rented for the renter’s personal use only. The scuba gear will not be loaned or sublet to any other party. The renter acknowledges that He/She is a certified diver and is in good health. Use of BCDs, Regulators, Cylinders/Tanks or Computers, by a non-certified diver is strictly prohibited. You MUST thoroughly inspect all property being rented BEFORE leaving the Facility to insure the items are clean, complete, and in good working order. All deficiencies must be noted on the checkout receipt. Misuse, inability to use correctly, or subsequent damage resulting from misuse, is the responsibility of the renter. The renter is responsible for any loss or damage to the rented scuba equipment while in His/Her possession and agrees to return it in the same condition as received. The renter must treat the equipment in accordance with manufacturers' recommendations. Cylinders are full when you first rent them with filtered air. You will need to pay for any additional refills during the rental period. You do not have to pay to refill a cylinder when you bring it back at the end of the rental period. Late returns are subject to additional daily charges at the one day rate. 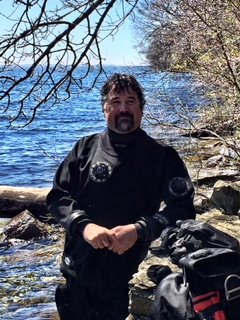 All rental dive gear must be rinsed with fresh water and be free from foreign matter before it is returned. Failure to clean the gear will result in a $25 cleaning fee. The Renter should notify O2ToGo Dive Centre of any faults or damage on or before the return of equipment. Details for a current Credit Card will be held as security against on all rental scuba equipment. The replacement value of any dive gear lost or not returned will be charged immediately to your credit card. The renter agrees to indemnify O2ToGo Dive Centre from all errors and faults during the use of the equipment and that the use of the equipment, its application and including the failure to use the equipment correctly, is the sole responsibility of the Renter. Daily rates apply for the number of days you actually have the scuba equipment, not the number of days you are using it. Losses are charged at replacement value. Damaged items are charged at O2ToGo Dive Centre’s repair rates. We accept that from time to time small accidents occur and we will judge damage on merit at our discretion. However, the rental equipment is of good quality, and the rental price is kept to a very reasonable level due to our successful policy of only charging the individual who DAMAGES the item rather than a blanket charge to everyone else. Very fair! Scuba equipment is available for rental only to certified divers. Proof of certification is required, so bring your certification card(s). If you can't show us your certification card(s) when collecting the rental gear, you won't be leaving the Dive Shop with the gear. We can't always look them up your certification card details online. Most of the training agencies now have options for you to buy an electronic version of your certification card(s) on your smart phone. Or you could save money and take photos of both sides of your certification card(s) and have them available on your smartphone. Before using, the Renter shall determine the Suitability and Fitness of the products for their intended use. The renter assumes all risks and liability whatsoever in connection with their own test and use. O2ToGo Dive Centre will not be held liable for any injury, loss or damage, direct or consequential, arising out of the use, misuse or inability to use the rented items.